I’d be lying if I told you I was not proud of my hillbilly roots. 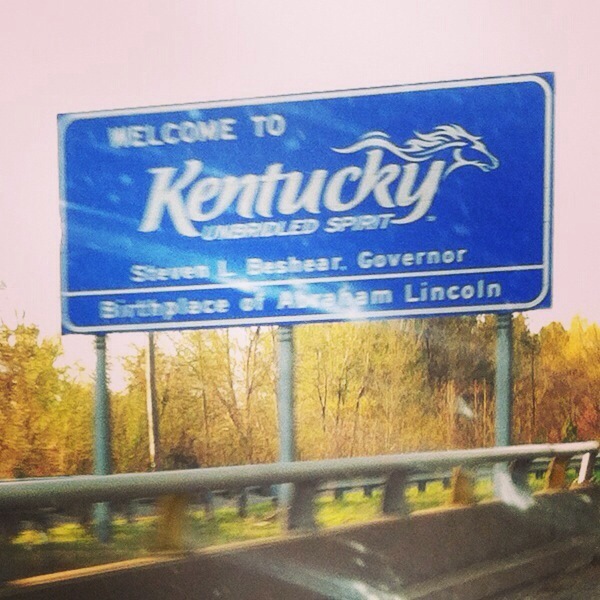 Sadly, it’s been over 43 years since my last visit to Kentucky. 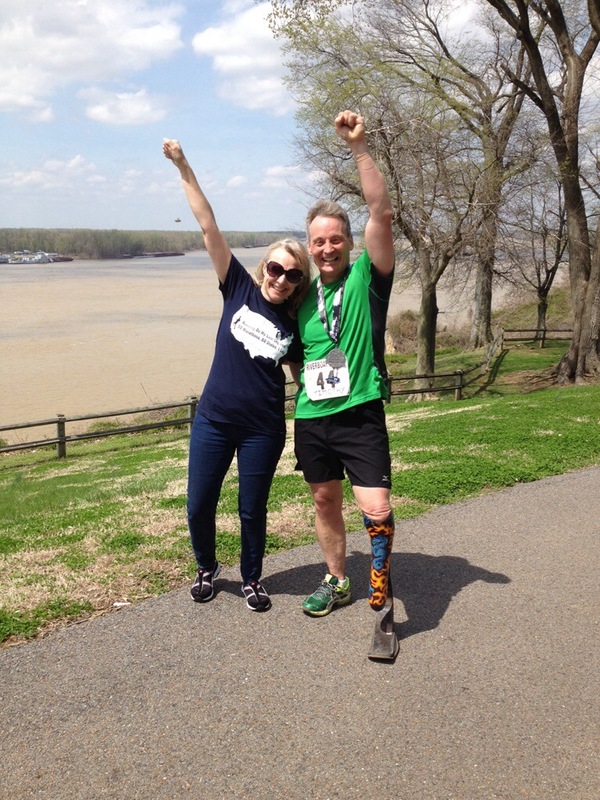 When I signed up to run a Kentucky marathon through the riverboat series I had no idea how at home I would feel or that being in Kentucky would bring back so many memories of my family roots. It just so happens both my Mom and Dad were born in Greenup, Kentucky in the foothills of the Appalachian Mountains. My father who died when I was 10 years old is buried there. 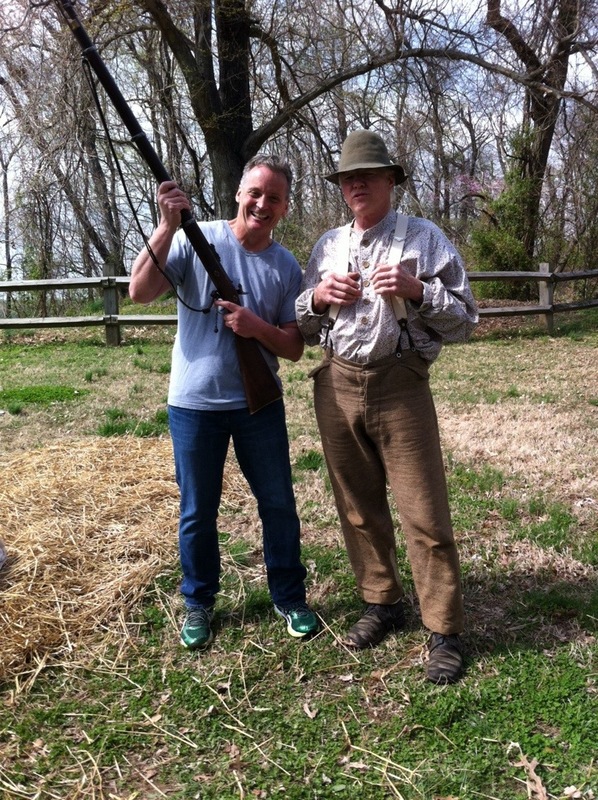 My Kentucky family roots go way back. By way back I mean WAY back to the Indians, way back. Records show my line running back to Old Cherokee Ned Sizemore who married a squaw. ( don’t be critical… term used in the official record not me being politically incorrect again) Their son Blackhawk Sizemore is recorded as Indian chief. 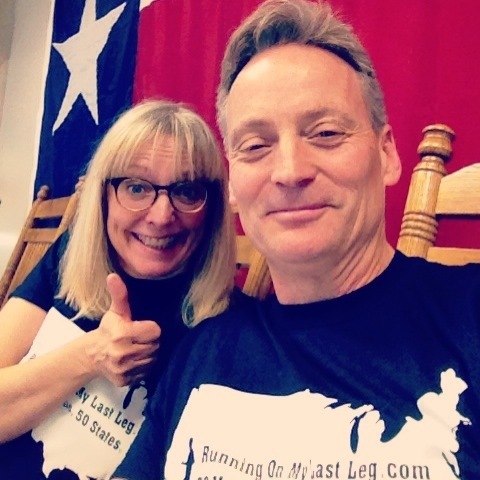 When Lynette and I first arrived all I cared about was running my race. That evening when we went to dinner at a local family restaurant everyone there sounded just like my Mom with their southern drawls. I was overwhelmed with sights and sounds of my childhood. 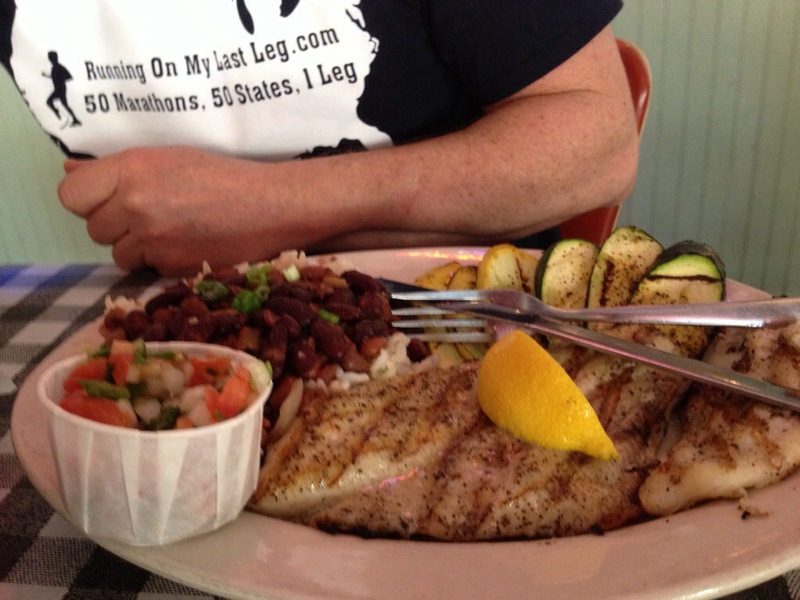 I couldn’t hardly eat because I was fascinated by all the conversations around me. It was like stepping back in time. My last marathon was in November and so I was very nervous if I was in shape enough to run. 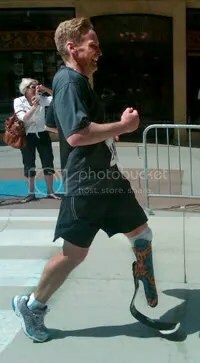 I guess it does not matter how many marathons you run, there is always that uncertainty that you’ll be able to finish. 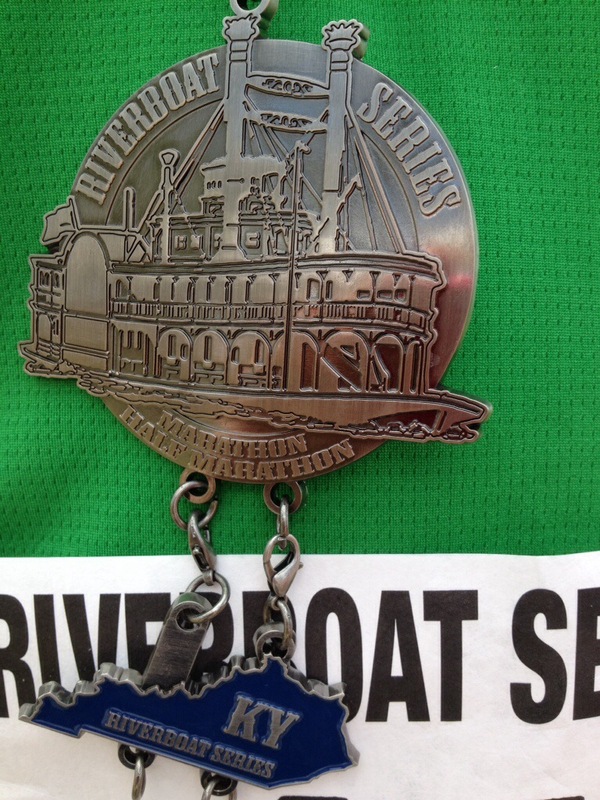 This was the first race in the River Boat 5 marathon series. 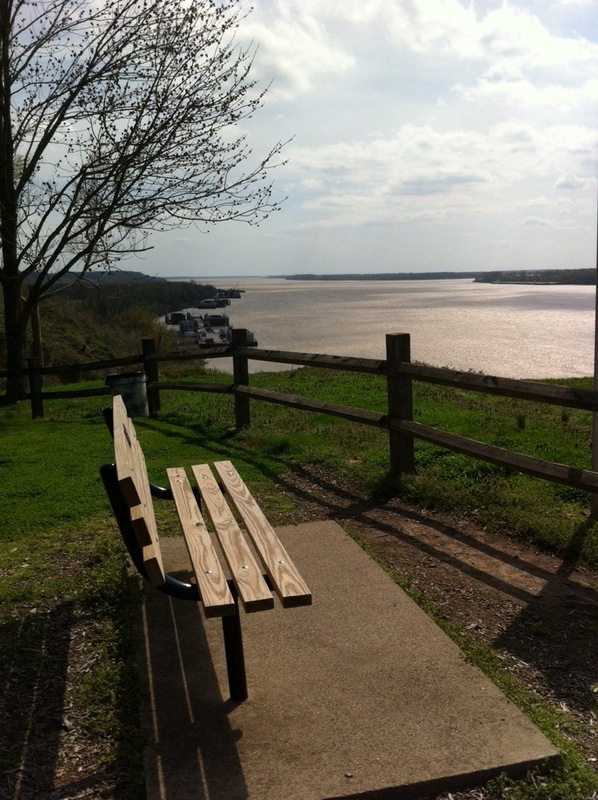 The five race series was held on consecutive days in 5 different states all along the Mississippi River. Because I have completed two of the states already I was only signed up for three of them. “Yes, only three marathons this week. Ho Hum”. The race was held at Belmont state park. The park promotes history of the Civil War and does reenactments. Race day some local actors set up camp near the race. We wandered up there after the race and talked to them and they gave us the real skinny on all the factors of the war. We learned the war was much more complex than simply slavery, interesting that that’s all we learn in school. We had a great conversation with Nathan Bedford Forest who was named after the original Civil War hero. The race was the most challenging of the three I ran. The beginning of this race I felt my stump swelling up. After about 8 miles I had to stop and take my leg off for probably half a minute and readjust my liner and then put my leg back on. I did not want to stop until the halfway mark but it was hurting way too bad so I had to. The swelling continured to get worse throughout the marathon. I’m never sure why this happens but some days are just like that. It made for a slower marathon but I finished and sometimes finishing is good enough. Half the course was on a rough dirt/mud trail and the paved portion had some pretty steep hills. It was not my favorite run. My blade has a lot of trouble on ‘off road’ areas. But as I’ve learned you’ve got to take the good with the bad and just quit your complaining and do it! Really??? 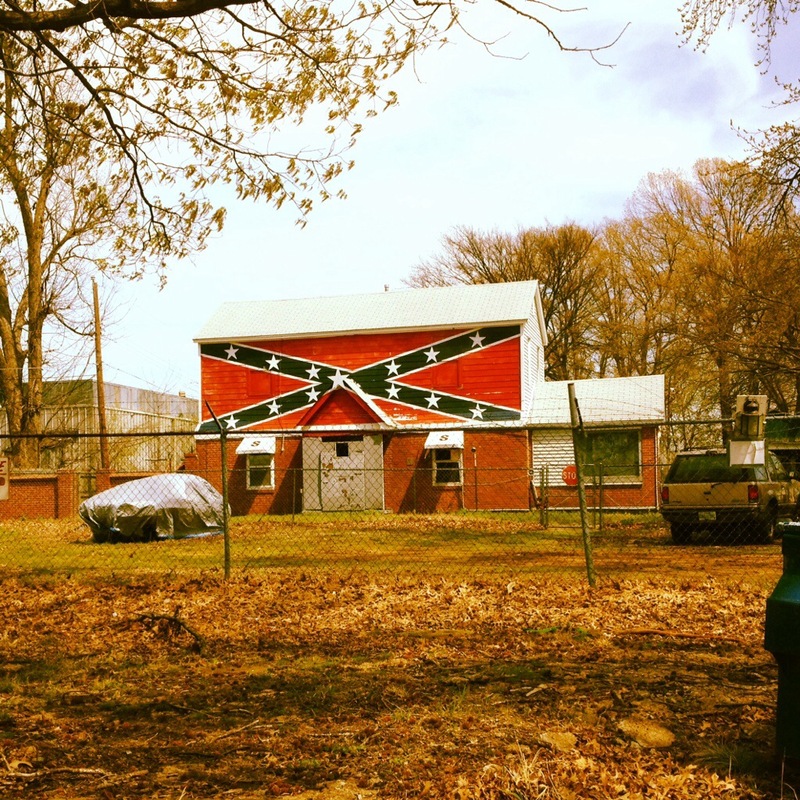 ?I can’t believe this house actually exists…Do I see Billy Bob hidin’ in the that thar car? Posted in 50/50 Marathon Club, Inspiring People, kentucky, Marathons, Prosthetic LegTagged 50 states club, amputee, amputee runners, blade runner, challenged runners, exerscise, Greenup, Inspiring People, jackson tennesee marathon, kentucky, moblily impaired, one legged marathon runner, one legged runner, prosthetic runners, riverboat series, Tim HurstBookmark the permalink.